Wi-Fi 2018: What does the future look like? The world of enterprise Wi-Fi moves fast, but 2018 is going to see gear based on 802.11ac Wave 2 remain the state of the art – its successor, 802.11ax, is still one for the future. Wave 2 is the latest Wi-Fi standard to be certified by the IEEE. Its main technological innovation is MU-MIMO, or multi-user multiple-input, multiple-output. In practice, this means that manufacturers can create access points that talk to multiple devices at the same instant. Earlier APs had to handle multiple streams sequentially. 802.11ax's key technology is something called orthogonal frequency-division multiple access, or OFDMA. This is a transmission technique that, in essence, allows multiple devices to share not only the same access point, but the same Wi-Fi channel at the same time. Previous-generation Wi-Fi can’t do that, so OFDMA means that 802.11ax has a substantial leg up on current technology, particularly in terms of large numbers of devices sharing the same access point. But experts don’t think that 2018 will see widespread deployment of the new standard. For one thing, it has yet to be formally ratified by the IEEE, although that won’t stop large vendors from releasing 802.11ax gear before the standard is official. But beyond standardization issues, there’s also the simple fact that enterprise Wi-Fi is only just beginning to deploy 802.11ac wave 2, and most budgets aren’t going to stretch to another upgrade so hard on the heels of this one. “Organizations are getting the job done with denser deployments of .11ac, and they just spent a lot of money on Wave 2,” said Craig Mathias, Farpoint Group principal and Network World contributor. What’s more, 802.11ax doesn’t necessarily represent a giant capacity upgrade over previous-generation Wi-Fi, despite its undoubted advances – so vendors have some tough sledding ahead to make their case for companies to upgrade. “Who’s going to make the case for it the best? Who’s going to convince their customers that there’s a real compelling use case, where you need to be an early adopter of ax?” he asked. Mathias suggests that other, less mainstream Wi-Fi technologies could take off in 2018. In particular, 60GHz tech called 802.11ad – a very short-range system with very high throughput capabilities – could become an option for demand-intensive implementations. “I'm surprised that the .11ad rollout has been so slow. We will see some action in 2018, but it will take a while before the range issues (similar to what we saw when 5 GHz was opened up by .11a) go away,” he said. Although perhaps new standards won't make a major splash in 2018, there’s still a lot of innovation going on that could have an impact on wireless networks. 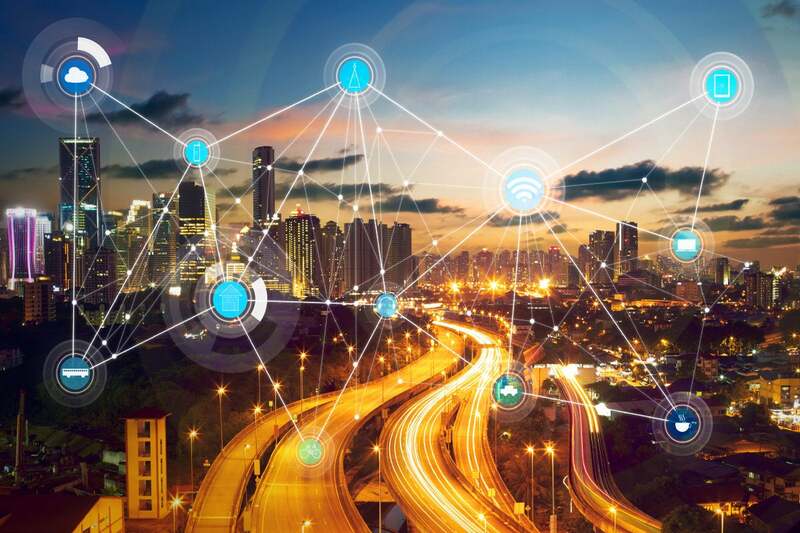 It's primarily centered around intent-based networking – a broad term that describes an increase in programmability, automation and even machine learning capabilities that can be applied to wireless networks. The idea is to offer a product that can dramatically simplify network management at scale, and there are several startups out there pitching hardware-agnostic platforms for network management that are based on intent-based networking principals. That's potentially going to make the task of managing a complex wireless network with a wide range of different segments easier. “We’ll start to see organizations do more with those technologies on their wireless networks in 2018,” Greene said. Network infrastructure that can collect its own analytics data, decide on its implications and then act on them will start to become more common in 2018, according to Greene. Key to this is the cloud, since it offers the ability to store and process data in a centralized way. Mathias concurred, saying that this type of solution could be a major advantage for enterprise IT shops. “Deploying advanced (and typically cloud-based) management and analytics is a huge opportunity to reduce OpEx and improve reliability and availability,” he said. This is a broad-based change, as well. The trend towards greater automation and cloud-managed infrastructure is taking place in enterprise environments of increasing scale. While mid-sized businesses are the traditional target market for cloud-based network management, the systems are moving up the food chain. There are still issues to be addressed, of course – Mathias notes that security “is the one are of IT where no one is ever ‘done,’” and coexistence issues with LTE-U and other unlicensed cellular technologies could yet prove problematic – but the outlook seems largely positive for enterprise Wi-Fi in 2018. Sophisticated automation and cloud-based controls should become more widespread, and simplify some network management tasks greatly.